A few years ago, I wandered into a second-hand bag outlet in a pop-up shop that sold handbags. One bag caught my eye – it was in excellent condition and very inexpensive (it was $28 AUD). The lady explained that she had purchased it thinking it was leather, but then realised it wasn’t leather at all, so she had reduced it to clear – she was a leather shop, and didn’t want to stock non-leather items. I bought the bag. It was second-hand, in almost new condition, and I really liked it. It seemed like a good purchase. 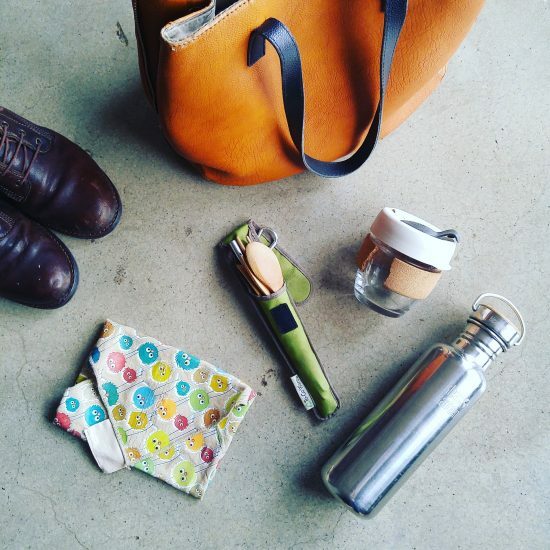 It carried my zero waste and plastic-free essentials around for a few years. But over time, the faux leather began to flake off. Slowly at first, but as the bag aged it got worse and worse. Aside from the fact that it looked pretty tatty, I was also acutely aware that this flaking faux leather was actually microplastic, shedding into the environment. Eventually enough was enough, and I realised I had to get a new bag. Clearly when I chose this bag, I didn’t think about that at all. I think that’s why I held onto it as long as I did, even though it was disintegrating before my eyes. I knew that there was nothing I could do to save it. It’s 100% synthetic materials, so not biodegradable, not reusable, not salvageable. It’s next destination was landfill. Of course, I feel bad about that. I knew that my next purchase had to be better. I’ve been following a small independent handmade bag business based on the east coast of Australia (in Mackay, Queensland) called Small World Dreams on Instagram since forever, and I’d decided that when I needed a new bag, I’d purchased one from Claire. 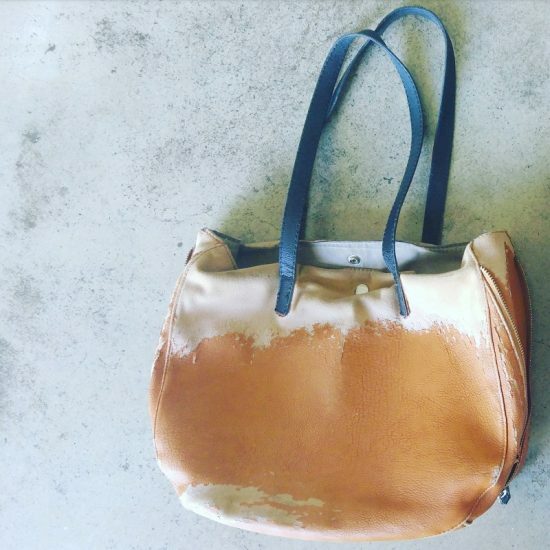 I first heard about her because she uses Ink and Spindle fabric to make her bags – Ink and Spindle are a Melbourne-based company who use organic fabric, natural dyes and Australian flora to inspire their hand-printed designs. I wanted my new bag to be made responsibly and transparently, fit all my things in it, be repairable, not contain any plastic at all and therefore be completely biodegradable, and be made so well that the idea of even needing to put it in the compost is one for the next decade, not this one. The bag I chose fits all of these criteria. But I confess, I felt a small pang of guilt when I chose it, because even though it meets all my criteria, is completely plastic-free, and is almost entirely made from organic cotton, the strap is made of leather. I feel bad about this because I try very hard to avoid purchasing animal products. But my previous bag, made of faux leather (which is plastic) ended up creating microplastic pollution and damaging the environment that way. It also ended up in landfill. I feel bad about that, too. In the end, I kept the leather to an absolute minimum, and made peace with my purchase because plastic-free was my first and biggest priority. I know that if I’d really tried, I could have found a completely natural and biodegradable bag. I’m sure there are other great ethical small businesses I could have chosen from. Small World Dreams even stock a vegan range made using Piñatex, a relatively new leather alternative made from pineapple fibres. These bags didn’t suit my needs, however – and gold really isn’t my colour. Actually, I really like the bag I chose. I love the style, the design, the craftsmanship. I know the strap will last a long time (and that is important to me). I think the guilt I feel comes a lot from the need to try to be perfect. 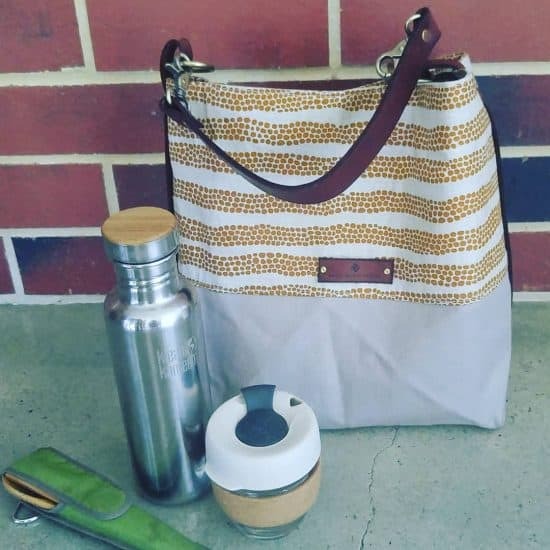 I know it would be much easier to share with you a completely biodegradable, ethically made, natural, vegan bag – one ideally made locally with organic fabric, and packaged in recycled sustainable materials. Easier in my mind because if I tick all the “ethical boxes”, no-one can make judgments about my choices. Which is a false truth, actually, because people will make judgments whatever the choice. Choices are rarely (ever?) perfect. No matter how many boxes are ticked, there’s always something that was forgotten about. It’s a scary thing, putting your life and your choices in public. You’re opening yourself up to criticism and judgment. The reason I do it is because I think that sharing what I do and the choices I make helps others find their own way, learn from my discoveries and make better choices themselves. Knowing that I can influence others to have a positive impact in their own lives and towards the environment is what keeps me motivated to continue. It’s much easier then, to share the best choices. The things that work really well. The success stories. But none of us are perfect. I’m not perfect. I don’t pretend to be, either, but it’s a lot easier to share the perfect bits than the imperfect bits. I’d rather tell you that I’m the perfect vegan. I’d rather tell you that I’m perfect at zero waste. I’d rather tell you that I’m perfect at plastic-free. But of course, I’m not any of these things. The reality is that absolutes are hard. Different values can be conflicting, and we have to find our own way. I have complete respect for anyone who lives with absolutes. I know that for many vegans, their resolve is absolute, and the idea of being an “imperfect vegan” is an oxymoron. There’s no room for flexibility: you either are or you aren’t. For me, doing what I can is better than doing nothing at all. I try, and I struggle, and I fall short, but I keep striving to do better. I wonder if my imperfections are because I’m multi-passionate. I care about too many things to be completely focused on one at the expense of all the others. 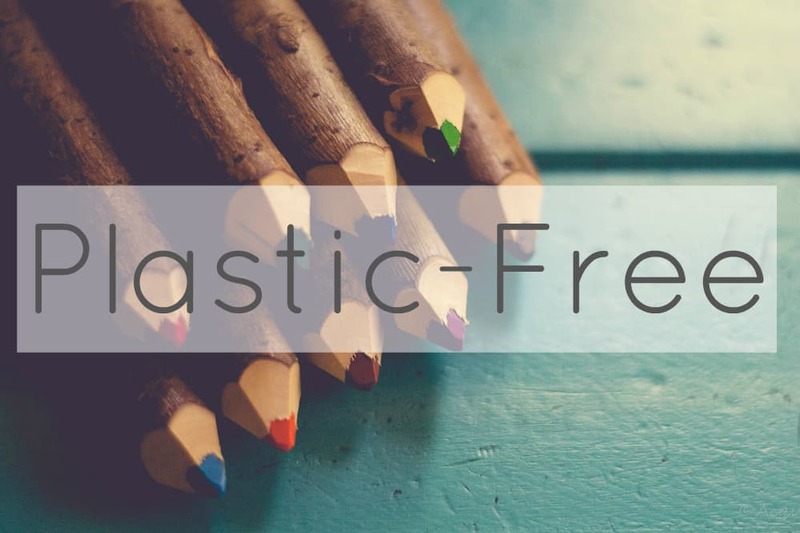 I care about plastic-free and zero waste, supporting the local economy, buying second-hand and supporting Fair Trade. I care about food miles and air miles and reducing carbon emissions. My diet is plant-based and I don’t buy animal products at home, but when I’m out I make exceptions, and especially when friends have cooked for me. My decisions are always about reducing my impact, but what that looks like varies from one decision to another – there’s always a compromise somewhere. Then again, maybe my imperfections are nothing to do with being multi-passionate. Maybe they are simply because that’s how I am. Imperfectly imperfect. What I’ve realised is, I don’t want to feel bad about the decisions I make. I try so hard to weigh up all the options and make the best decisions that I can. Not perfect ones, but better ones than the time before. That’s something I should feel good about. Making better choices is something we should all feel good about. Chasing the crazy notion of perfection, that’s what leads to overwhelm, stress and feeling miserable. Embracing our imperfections? That’s acceptance of what actually is. None of us are perfect at everything, all the time. Being kind to ourselves (and to others) is a much better alternative than beating ourselves up over our shortcomings. My choices won’t be everybody’s choices. But they are my choices. In all their imperfection, I make them. Being happy with them means letting go of the desire to be perfect, and the fear of being judged when I’m not. I’m not perfect, and I can be happy with that. Now I’d love to hear from you! Do you struggle with the need to be perfect? How do you tackle criticism or judgment of the choices you make? Have you found your peace with making imperfect decisions? Anything else you’d like to share? Please tell me your thoughts in the comments! 44 Comments • Leave a comment! A leather handle is perfectly acceptable, really. You don’t have to eat the animal for it to die. Animals die of natural causes everyday and why not use their skins to make something that is useful and biodegradable? There is far too much guilt going around in the world today. We need to lighten up on ourselves and on others. Who put the guilt-mongers in charge, anyway? *-* Have a great day today and enjoy that beautiful bag! Thanks Mona, although I doubt very much that the animal died of natural causes. I have read that Australian leather is a by-product of the meat industry (as opposed to Indian leather where it is not) which makes me feel a little better. So true. It seems that every time we make a choice there is some reason why that choice is not the absolutely perfect one but hey we do our best and that’s what really counts. I think you are doing really well and as Mona says we all need to lighten up on ourselves and let the guilt mongers go hang! Maybe we are just spoiled by choice, Jane! Having all this choice makes us stressed out – and it’s never perfect, or even close. I do think that making conscious decisions (e knowing why you made the choice) is the best first step. It may not be perfect but at least I know why I made the choice. I don’t think we’re spoilt for choice, we’re tired of having to choose all the time! All the decisions we need to take in order to feel decent and positive about our life philosophy accumulate and create a sort of exhaustion that makes it even more difficult to decide about yet another thing. Oh I loved reading this article. I always think that people (particularly women) are so brave at sharing their journeys and passions online because of the judgements that are made by strangers. I really identified with your multi-passions. The fact that you have such a checklist is more a reflection on the issues that multi-national, cost-cutting, profit-maximising production of goods creates. Thanks for another thoughtful post. Thanks Jo. Yes, you are so right – decisions are complex because these things are complex. And I care about so many of them, all at once! I am one of those inflexible vegans but I completely respect your choice. We are all entitled to make our own choices based on what is most important to us. I care nothing for other peoples judgements becasue I know what I feel in my heart. 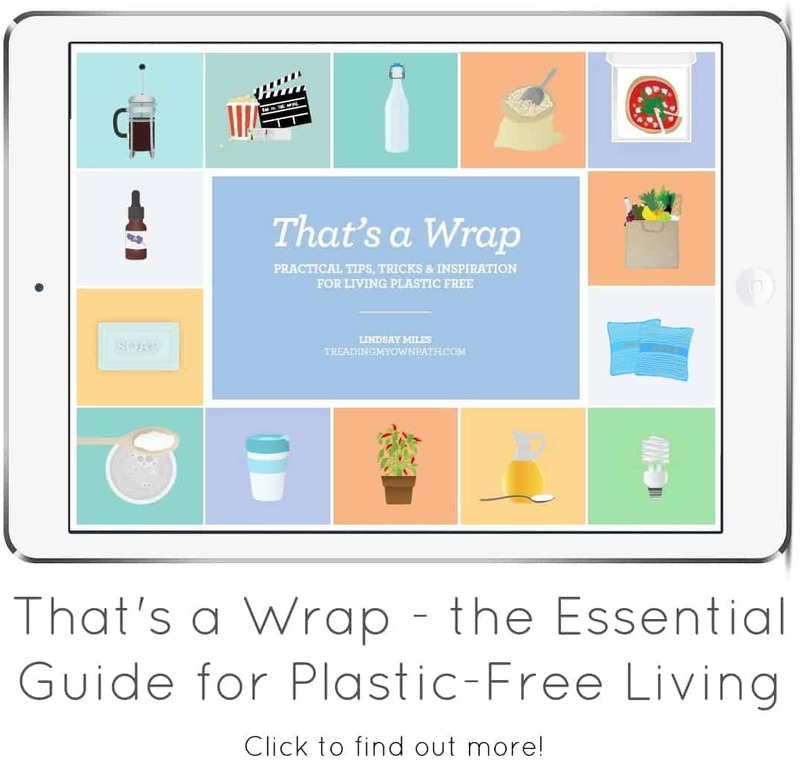 I am striving to lead a plastic free life here in England, which is not easy as we don’t have bulk stores, and enjoy your inspirational posts, so thank you. Another “inflexible” vegan here, and I totally understand multi-passionate dilemmas. We all stack our priorities a little differently, but I deeply admire your dedication to doing the best you can. Hi Tracy, thanks so much for taking the time to comment and just in case it wasn’t clear, the discussion around flexibilty was in no way a criticism! I’m in awe of anyone who has made this commitment, it is something I work towards and always want to do better at. So of course I feel guilty when I fall short. 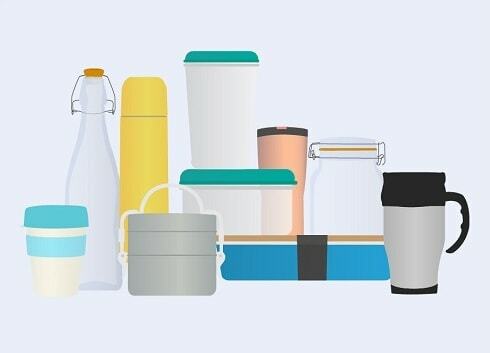 It’s interesting because someone can be 100% committed to plastic-free or zero waste but they won’t actually BE 100% plastic-free or zero waste (in the absolute purist sense) because of the linear economy and the reality of modern living. Yet someone can be 100% committed to veganism and BE 100% vegan – in fact I’m sure many vegans would argue that you can’t be an imperfect vegan – you either are, or you aren’t. There’s probably a whole other conversation here to be had around labels, but to keep things short I’ll say this: whilst I know many vegans would say you can’t be 95% vegan I do think that avoiding animal products 95% of the time is better than anything less than that. Of course I’d rather be 100%! Maybe I’ll get there. But in the mean time I’m finding peace with where I’m at. All of these issues are so complex Claire, and there are so many different areas to think about. 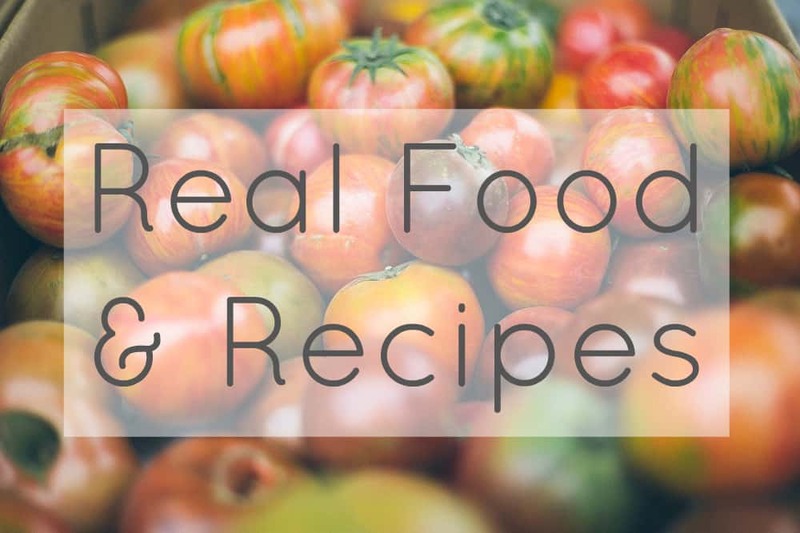 Definitely being fit, healthy and disease-free makes it easier to follow most lifestyles – zero waste and plastic-free included. Medicine doesn’t tick many boxes, but is pretty useful! Honestly, being lucky enough to have friends cooking for me? You have no idea :) Yes, super lucky! I’ve never heard any vegan describe themselves as “perfect” or even “TRYING to be perfect,” because we all know that some things are totally out of our control. 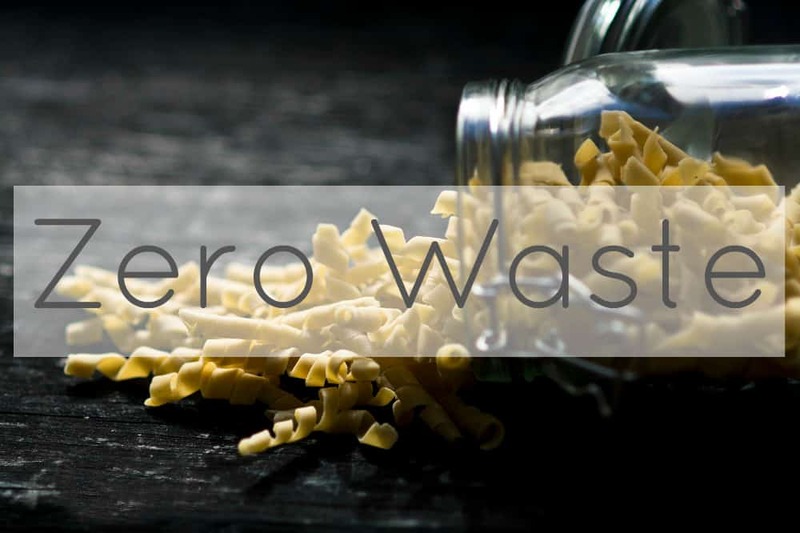 Same as Zero Wasters; even the most dedicated Zero Waste folks will get stuck in a waste-producing situation some time, or find out that someone else created waste on their behalf without telling them, and so on. In both groups, people do the best they can. I wouldn’t use the word “ignore” for either group. There are no perfect vegans or perfect plastic-free people, because there are no perfect people. We all do what we can with what we have. I think it’s fantastic to be perfectly imperfect. I think too many people are afraid to start the journey because they see plastic free, zero waste or whatever as ‘all or nothing’ and get scared off. Thinking about options and making choices based on values and priorities and the info we can find, I think is good enough. 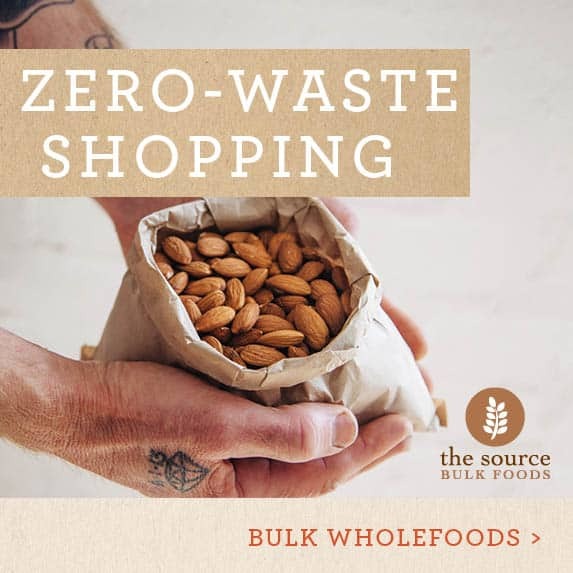 It’s currently very difficult to make a purchase that ticks *all* the boxes of 100% zero waste, plastic free, local, biodegradable, free trade, organic, naturally dyed, sustainably sourced, living wages….. Hopefully some day. I completely agree with everything you have written here. Every step to more sustainable life counts. To do at least something is by my opinion much better than being afraid of not being perfect. Go ahead! I read this post and breathed a HUGE sigh of relief. Thanks. I struggle all the time with exactly the same issues of being multi-passionate, and getting overwhelmed stressed out trying to balance everything. I really like the idea of getting rid of the guilt, and just feeling glad when you make a better decision than the last decision, and seeing it as progress. 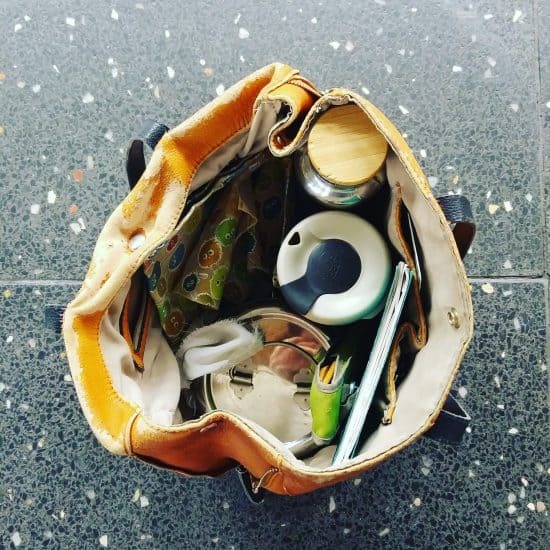 It’s nice to know there are others on the same path :) As an aside, I am thinking that for my next handbag, waxed canvas is the way to go to accommodate vegan and plastic free. Well said! A conversation I have often. We try. We fall short. We keep trying. Conflicting ethics/ideologies is a constant. Just the other day I needed mayonnaise (bought – don’t judge me ) and had to choose between free range eggs and plastic or cage free eggs and glass (sorry chickens ). Thank you for this honest piece. 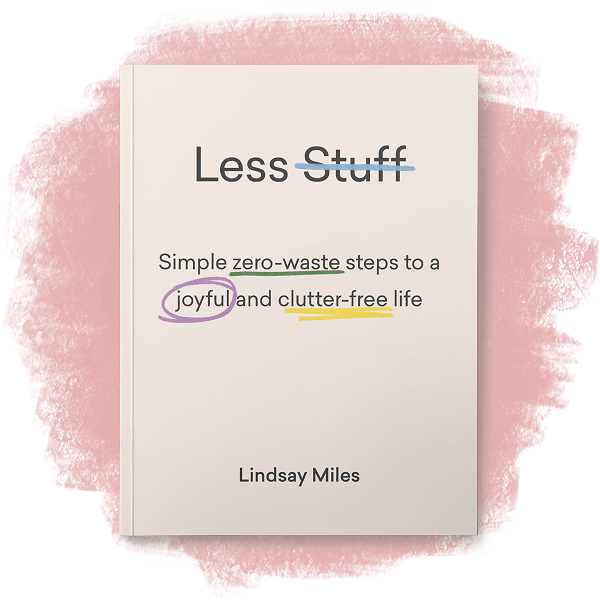 I wrote a piece for an anthology by PostConsumers (then Simple Living America) about feeling pushed away and discouraged in the face of what I called fanaticism. With environmentalism in general, I think sometimes folks don’t engage because they are not sure they can do enough or do it right. And there are always some judgers who feel they must chime in. As with anything, all positive steps should be encouraged. People build on these and, hopefully, do even better next time on their own steam ( not because of pressure from others). Love the picture! 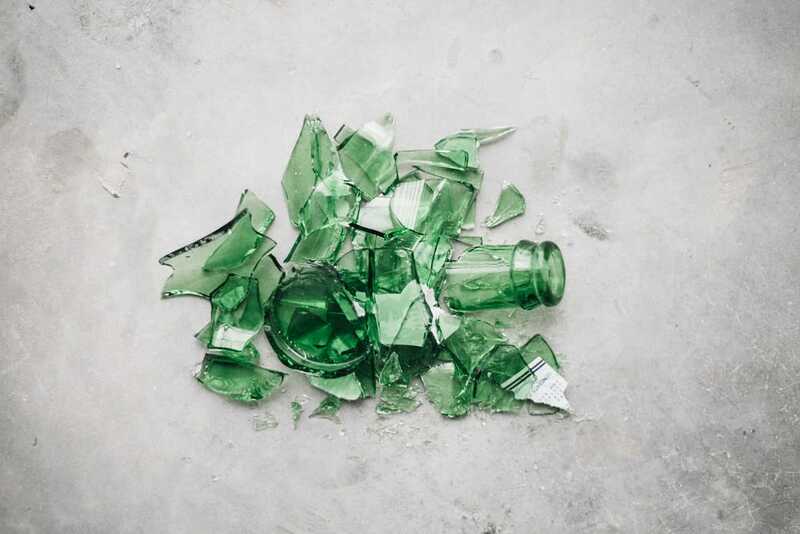 Broken glass and ceramic was a major source of waste for us last year. Life happens! When I see people with their waste jars I always wonder- what about when your shoes wear out completely? What about broken items that can’t be fixed! What about sneaky medical waste? 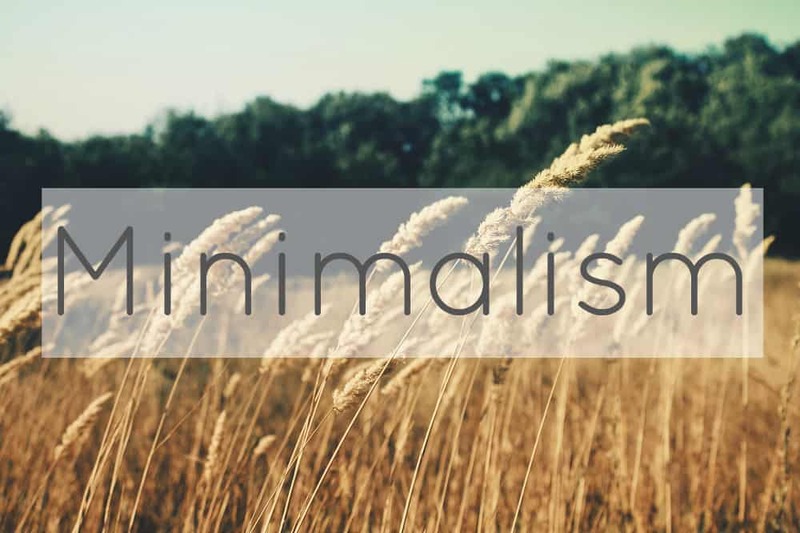 It’s pretty darn impossible to be truly zerowaste, minimalist and vegan at the same time, but we do our best and we make exceptions. Except for occasional cheese and yoghurt we eat vegan at home and I would always eat vegetarian out- but I’ve made exceptions while being pregnant if I’ve felt I ‘needed’ meat or fish I would eat it while out. My handbag is leather and it’s not ideal, but it was a gift from my husband a couple of years ago and it will last me many more years. Another consideration for you could be a home-made market bag. Google felted market bags. There are lots of patterns for free online. You use real wool and you knit a huge bag, then felt it by washing in very hot water..it’s a very satisfying project and it is beautiful! It’s an imperfect world! You can only do what you can (or afford). I think your article is spot-on, and very human…Thanks! Thank you so much, this was a pleasure to read as my choices are far from perfect in hind sight but we are all doing what we can through each stage of this journey. I think “consciousness” is so important. It’s important to ask ourselves “why” and to know the answer. It might not be the answer that others would choose but if it’s made with care, awareness and kindness then the world is a better place. Your bag is lovely and I have a feeling that you will love it long after it has gone back into the earth from where it came. Trying to be too perfect and obsessive about it only leads to anxiety issues. Relax- you are doing your bit. There are too many things to be anxious about in this world- I am sure anxiety rates are sky rocketing. Just be a good person in a relaxed way. Thanks for this. It is a struggle when you learn what you could be doing to help the planet, and what you can actually accomplish. I love your posts as they reflect a lot of my own struggles. And I’m not nearly as advanced as you. As for guilt, women fall into this way too easily. You are aware, you are sharing your journey. This is the most important thing. We need to let go of the rest. You should all read the book Life without Plastic, I borrow it from the local Library, It certainly a eye opener and what it doing to our health and the world. It’s good to be reminded to consider the life cycle of an item when bringing it into one’s home. I mainly purchase second hand items, which has made it a little bit too easy to be less mindful regarding where they will end up when I have finished with them. Hi Lindsay. Just bought a bag! Having always bought leather, I have now taken another small step. Yay. thanks for your wonderful newsletters. Oh my goodness, I completely understand the desire to be perfect, especially when we are so truly compassionate about something- everything!! Fortunately, I’m not a compulsive person, so I can really take the time to research, but man, the brain cells… lol. Sometimes I lay awake contemplating my beliefs, desires, and options, then plot how to better tackle the search the next day! And to mention being in the public eye, we only want to share, set an example, and hope to take criticism with grace, right? Thank you for your bravery, because I appreciate you!! My motto is to choose the least bad option. Sometimes that’s a locally made biodegradable item and sometimes it’s plastic or something wrapped in plastic. If someone judges need I ask how they decide on the least bad option. Thank you for this post. I understand how people can be overwhelmed and then not try because it all seems so hard. I was raised to be aware of not using single use plastic and to manage waste as effectively as possible. However, I have had chronic illnesses all my life which are managed by medications that all come in plastics. It does my head in with the amount of waste and single use plastic but…they keep me alive. I do so much better with household waste and food which is more within my control but struggle with getting my family to be more aware. I have to be careful to not despair at times and remind myself that I am doing the best I can and keep encouraging others to take little steps. In our state we have to take our own bags to the stores and this engenders mindfulness. I guess I have to be content with the balancing act. Lindsay, I’ve been following you from the beginning and am so grateful for your words and advice and truth. Thanks for your honesty and for being a voice that so many can relate to and gain confidence from. I strongly relate to the multi-dimensional decisions and they can be very tough and waring. I’m about to sell some handmade produce bags at a local market. Pretty much all of them have synthetic fibers in the fabrics that I have salvaged from op-shops. So on the one hand I’m offering a better choice than single use plastic bags that so many people still use for their fruit and veg shopping but on the other hand the fabrics may leech synthetic materials when they are washed and they will eventually have to go to land fill ☹️ Oh the dilemmas! I love this! I have purchased several products that I thought were ethical/natural/environmentally friendly, only to realize that they did not meet all of these standards–an aluminum-free deodorant that turned out to have artificial fragrance, reuseable produce bags that turned out to be made from synthetic materials, etc. I was so angry with myself upon discovering that these products were not perfect, but this post is such a great reminder that no product and no person is perfect. I’m doing the best I can, and that’s enough. The imperfect thing reminds me of the story of the starfish on the beach being thrown back in and it making a difference to one starfish. We can only do our bit. Ask any vegan or vegetarian about raw feeding their dogs and you’ll hear of enough guilt to last a lifetime. Sure,we can feed our dogs plant based food and in doing so deprive the animal of the care it deserves! I am working for a council in the Great Southern and am plannning to run some composting workshops. 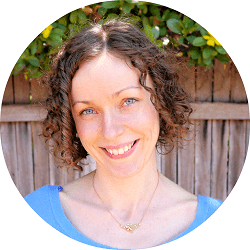 I would love to talk to you about how you could be involved to provide some waste-free information and inspiration! HI LYNDSEY, IAM GLAD THAT YOU ARE SO PASSIONATE OVER SO MANY THINGS, ME TO, AND AS YOU SAY ITS MUCH BETTER TO BE AN IMPERFECT TRYER THAN SOMEONE WHO SITS ON THEIR HANDS AND TUT TUTS BUT DOES NOTHING. WELL DONE YOU!